Metal Gear Solid V: The Phantom Pain E3 2014 Trailer Leaked! An E3 2014 trailer has been revealed by Konami today and it has been made private just as soon as it arrived! It looks like Konami accidentally released their E3 Trailer a bit too soon, however we got a good look at the upcoming game…or should we say games? Metal Gear Solid: The Phantom Pain consists out of two games: Ground Zeroes, which already shipped in March, and The Phantom Pain. 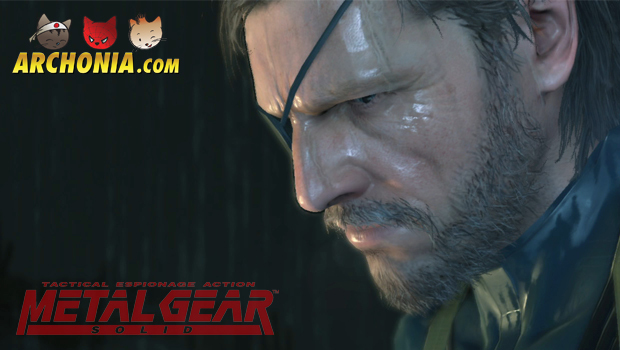 Ground Zeroes provides the background story of the events leading up to and featuring in The Phantom Pain. Played by Kiefer Sutherland, Snake has no abilities after awaking from a nine-year comatose state. Previous Post : Mortal Kombat X First Gameplay Video Next Post : Disney Characters re-imagined as Sailor Moon Characters!